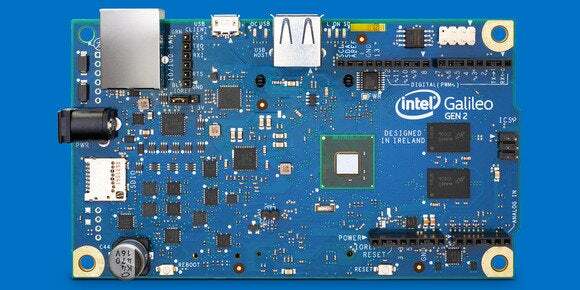 Microsoft is encouraging more hardware hackers to develop Windows-based smart devices and appliances with expanded availability of a preview OS to all owners of Intel’s Galileo board. The software company has provided a pared-down, proof-of-concept version of Windows designed to work with the Galileo board, which is targeted do-it-yourself enthusiasts who experiment with electronics. The OS previously worked only on a few Galileo boards sent by Microsoft to select developers. Now users who bought Galileo from Intel or other distributors will be able to run Windows, a Microsoft spokeswoman said in an email statement. Microsoft previously said the OS is a “non-commercial version of Windows based on Windows 8.1,” and part of a pilot project to put Windows in small electronics and Internet of things devices. “The preview Windows image is another opportunity for makers and developers to create, generate new ideas and provide feedback to help Microsoft continue making Windows even better on this class of device,” the spokeswoman said. The Galileo board is just a little larger than a credit card and has limited power with a 400MHz Quark X1000 processor, a 32-bit processor based on the Pentium instruction set architecture. Windows has been customized to work within the constraints of the board, which has been used in the development of robots, sensor devices and health monitors. Intel this month started selling Galileo Gen2, which succeeded the original Galileo. This Windows release will only support the first-generation Galileo hardware, but “Microsoft is also committed to supporting the currently available Galileo Gen 2 hardware with a future release,” the spokeswoman said. The board and OS are part of the Windows Developer Program for IoT (Internet of Things), in which Microsoft asking developers to experiment with Windows in new Internet-connected devices. Linux has been the OS of choice among makers, but Microsoft hopes to break that dominance. The version of Windows for Galileo is compatible with Arduino, a popular hardware and software tool among makers. Microsoft hopes that some of the prototype products could ultimately become commercial products. It’s a step forward in Microsoft’s “mobile first, cloud first” strategy, with more devices feeding telemetry to Microsoft’s Azure cloud service. Instructions on firmware installation can be found on Microsoft’s GitHub website. The original Galileo board supports PCI-Express, ethernet and USB 2.0. It has ports to connect cameras, displays, servers, power arrays and other devices. The Galileo Gen2 has an improved PWM (pulse-width modulation) control line, which will allow 3D printers and robots move more accurately. Galileo Gen2 also has Power over ethernet capability, which is not available in the older version. Microsoft has collaborated with Intel on another board called Sharks Cove for development of drivers and hardware.